Ladies and gentlemen, face facts, winter is upon us, and that means that the Christmas season is trundling towards us. When it a better time to embrace red lipstick than in the Christmas season. I know I definitely reach for the red lips more at Christmas than I would at any other time of the year. With that in mind, I've compiled two lists- one of my favourite MAC reds, and one with my favourite high street/drugstore reds. Today, as the title of this post implies, I have my MAC red lipstick winter wardrobe to talk you through. MAC Cockney (Lustre) if you would like a red lipstick without committing to a red lip, this might be the option for you. I love Cockney in the summer or winter, and I don't say such a thing lightly or very often. It gives a nice sheer wash of red to your lips. MAC Ruby Woo (Matte)- well I am on my second Ruby Woo of my lifetime because my first went missing on a night out ages ago, and I took my sweet time to replace it- but whyfore, I know not. This is a stunning red, stunningly easy to wear and stunningly easy for anyone to pull off. 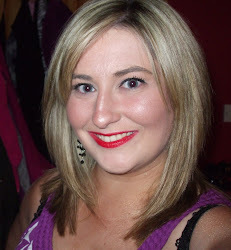 Teamed up with my MAC Cherry lipliner, this is the epic red lip. In terms of lasting power, it goes on and on and on. However, Ruby Woo just makes bits of my lips, and I spend the best part of the following week trying to repair and nourish them back to good health. That said, I will most definitely be cracking out this bad boy for my Christmas party this year. MAC New York Apple (Frost) is just the joy and glitz of Christmas day encapsulated in one little bullet. A frosty red which I should hate because I hate frost on my lips, this is a special kind of red. The only time of the month where I would pull this out is around the festive season. MAC Ramblas Red (Amplified) was one of my first ever MAC lippies and I remember picking this up on a cold and frosty December morning in Brown Thomas in Cork. I actually ended up getting this when one week previously, one of the MUAs in MAC accidentally stabbed my beloved cream coat with this lipstick when she was putting it back on the display unit (she did not even apologise at leaving a big red stripe down my sleeve) but I was drawn to the shade of red which is a really berry, pinky red. I don't wear this enough, I have just reminded myself to wear this more. MAC Riri Woo (Retro Matte)- not going to lie, the main reason I got this was because of the snazzy rose gold packaging. This is very similar to Ruby Woo as the name would suggest but perhaps not different enough to justify owning both- what can I say, I am a marketer's dream! MAC Russian Red (Matte) is a bright blue toned, matte red that looks amazing on my pale untanned state. Very striking colour and makes your teeth look super white which is always a plus! MAC Dubonnet (Amplified) is a much deeper red than any of the above. The Amplified finish means that it is a nice creamy colour and ever so slightly glossy on application. This is such a classic red and because of the depth of the colour, I am sure that this would suit all skin tones. 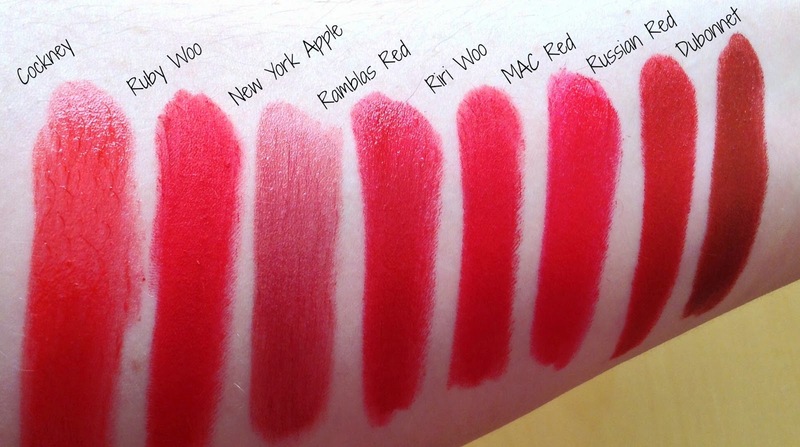 Is your favourite MAC red lippie in this line up? Which one takes your fancy?